This four day/three night river cruise package is a leisurely journey along The River Kwai that offers a glimpse of history. You’ll visit the largest pagoda in Southeast Asia, see the panoramic and mountainous views of Kanchanaburi from a beautiful monastery. You’ll experience Thailand in a way too few people have. You’ll explore temples, trading posts and train stations and so much more. From Hellfire Pass to the Death Railway – a journey through history and a holiday you’ll never forget. 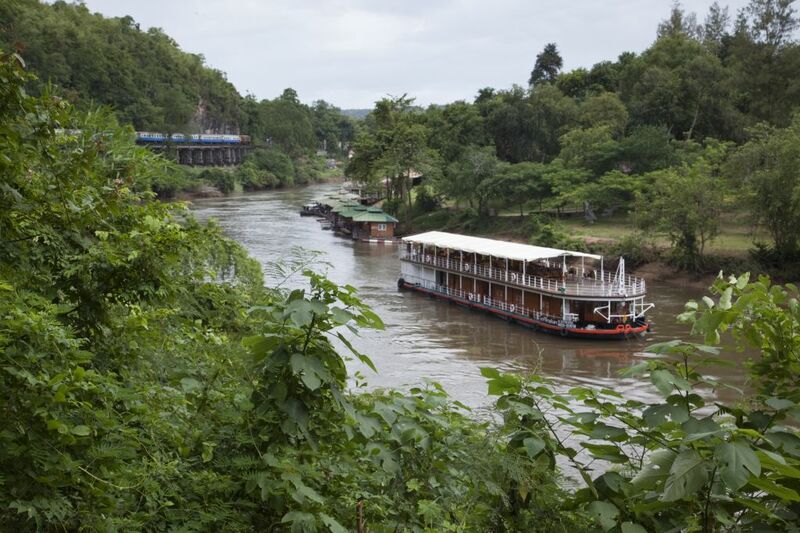 This unique package offers a choice of cruising the River Kwai upstream or downstream with departures on Monday (upstream) and Thursday mornings (downstream). If it’s a golf adventure that excites you – The RV River Kwai also provides 4 day or 7 days golf and river cruise packages. For more details on the different options and a full itinerary for each cruise, click on the cruise details buttons below.